We have been featured in the following media. France 2.fr: http://www.france2.fr/emissions/telematin/diffusions/31-12-2015_446628 2 hours and 2 minutes. 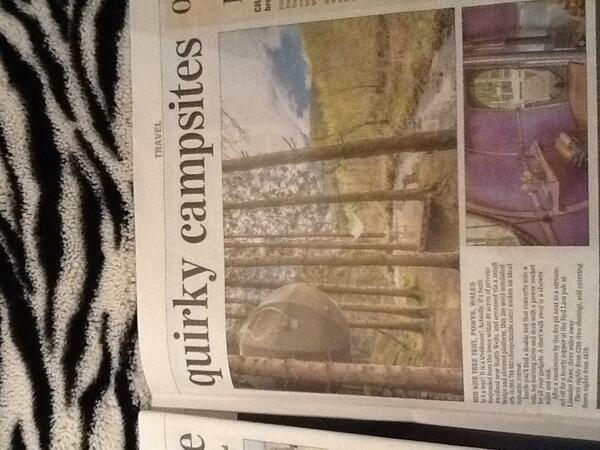 Calling all campers: we've officially entered the dawn of an exciting new camping era. The elusive tree tent is born: a spherical canvas structure suspended by rope high up in the trees. Sounds ominous? Actually it isn't. Instead it's sort of beautiful, in a futuristic orb kind of way. The tent is located on the outskirts of a dense woodland – in the grounds of the similarly alluring Red Kite Barn, as it happens – and as you walk down the gravelly hill towards the site, your new accommodation starts to take shape right before your eyes. "We round up the best coastal gems, rural retreats, architectural wonders and romantic hideaways for two – all with availability this summer..."
2016 Red Kite Barn - Pets Pyjamas Travel Awards, The Home From Home Award. 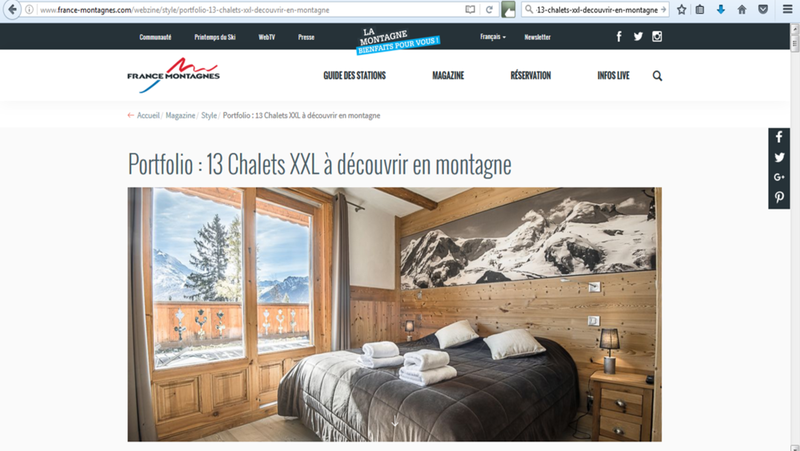 "Le F’Net, véritable chalet d’alpage du 19ème siècle, entièrement repensé par Anjana et David, est sans aucun doute l’un des chalets alpins les plus romantiques qui soient. Niché sur le chemin qui mène au sommet du Prarion, c’est l’impression d’être au bout du monde qui domine. Les matériaux originels rustiques se fondent à merveille dans son intérieur moderne." The Tree Tent was featured in the January 2016 edition of My Wedding (New Zealand) Focus on Venues and Honeymoons. "...the Red Kite Tree Tent, a new hanging orb near Builth Wells in Powys, Wales, that fuses elements of conventional camping and log-cabin experiences to create a new treehouse with a twist..."
"An environmentally-friendly suspended abode that can comfortably accommodate up to two adults, the spherical tent emerges from years of Luminair Creative Engineering research in sustainable shelter systems, fabric structures, and Tarzan-style living..."
"You'll be high as a kite at this new treetop hideaway. Tucked away in 80 acres of private woodland, the UK's first tree tent is the perfect love nest for two, with a double bed, log burner and a bird's-eye view of the surrounding Welsh forest, which attracts barn owls and red kites. It is wool-insulated, ensuring that it stays cosy year-round, and comes with its own streamside decked area with firepit and outdoor shower..."
Yes, it can be wet, but sweeping views, soothing massages and awesome birds of prey are just some of the delights to distract you at Wales' luxury Red Kite Barn, writes Sankha Guha. "Yes, it can be wet, but sweeping views, soothing massages and awesome birds of prey are just some of the delights to distract you at luxury Red Kite Barn..."
EVER fancied living in one of the houses from the Channel 4 series presented by Kevin McCloud? Now's your chance. Are you one of the millions of people who find yourself turning a shade of green whenever you watch Grand Designs? Have you ever wondered what it would be like to live in one of the inspired residential creations on the show? Now could be your chance. The famous Clapham "curved house", which appeared on series four in 2004 and then again in 2008, is available for rent. If you didn't see the episode, the story behind this property centred, literally, around a giant chestnut tree. When Anjana and David Devoy realised their Clapham home was becoming too small for their expanding family, they decided to make use of their large garden by building a house on the land. Ladderstile House designed by threefoldarchitects, and built by David and Anjana Devoy working with h2architecture on the interior design, landscaping and external screen and shutter details. Designed by ThreefoldArchitects, the Ladderstile House, an eco-friendly large residence in Richmond Park, London, is arranged around an internally landscape courtyard. The home’s volumes open to external areas creating a unified residence with the exterior and interior complimenting each other. Ladderstile House designed by London practice ThreefoldArchitects. It's a large modern new build family home directly bordering Richmond Park and adjacent to the Ladderstile Gate. The land is the last remaining pocket of a once larger site associated with the original Ladderstile House, and retains an historic right to ‘ride out’ across the park holding a key to a private gate associated only with the house. London practice Threefold Architects have completed Ladderstile House, a courtyard house on Richmond Park in London. This luxury lair in Richmond Park has all the mod cons — and that’s just for Dobbin — but what are the odds of it selling? What makes a property fly into the minds of a buyer, lodge it there and inspire the transaction of thousands, if not millions, of pounds? It's a bit more complicated than making sure your home smells of baking bread. Although aroma has its place, along with location, presentation and timing. And though Ladderstile House - which is so intriguing that passers-by regularly walk in off the street for a quick gander - has all of the above, it doesn't have them in quite the proportions one might imagine. Grand Designs. but Will They Sell? Since Grand Designs hit our television screens almost ten years ago, it has followed dozens of homebuilders realising their dream of creating the perfect home. But that does not translate into an easy sale. At least five Grand Designs houses are now languishing on the market in spite of fulsome praise from Kevin McCloud, with one in Cheltenham being raffled off after it failed to attract a single offer. Threefold Architects’ robust plan has been developed by the client and another designer to create a unique parkside house, says Kester Rattenbury. 2006 The Curved House - Evening Standard Property Award for Most Innovative Property. The Curved House featured in Anita Kaushal's "The Family at Home"